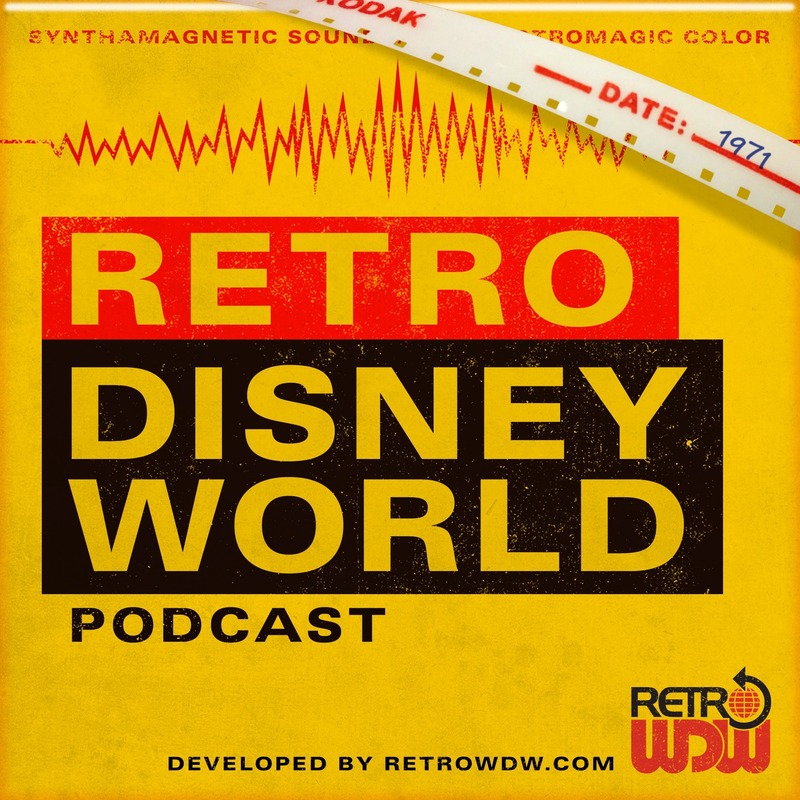 Welcome to Episode 48.5 of the RetroWDW Podcast: "A Chat With Jeff Blyth" - We appreciate your support and hope you have been enjoying each and every episode. Be sure to check out some of our previous shows. Jeff Blyth joins us on this bonus episode, which is a follow-up to Episode 48, which is all about The Timekeeper. Jeff has been a film director for many years, getting his start in Circlevision with the original China film at EPCOT Center. We take a massively deep dive into what it takes to make these types of films. As you listen, your mind is going to be blown and you are in for a few surprises. Jeff has so many personal experiences with this type of film making and some of the techniques, skills and even issues all come up. We move into what it took to actually make the film for The Timekeeper. This took Circlevision to a whole new level and we learn why, as some of the techniques seem basic when you compare it to a drone shot of today. Jeff is an amazing guest that is giving you an insiders look that we have never heard before. We focus mainly on The Timekeeper, but the art and technique of Circlevision is discussed in detail. This mini episode almost feels like it could be an attraction at the old Disney-MGM Studios. You really get to learn all about the art form and everything that goes into this whole process. We would like to thank Jeff for spending time with us and we hope you enjoy this bonus episode. Join us very soon, as we finally get into Horizons. 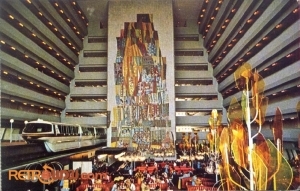 Our listeners have asked, begged and pleaded - we are finally ready to take you back to the gone, but never forgotten attraction. We thank you for your support and welcome you to enjoy all of our other offerings including our photos, restored films & The Lake Buena Vista Historical Society. Welcome to Episode 48 of the RetroWDW Podcast: "The Timekeeper" - We appreciate your support and hope you have been enjoying each and every episode. Be sure to check out some of our previous shows. Tonight we have a special guest joining us, Anthony got to sit in because of his generous donation. If you would be interested in joining us to get a behind the scenes listen, be sure to check out our Donation Page. Thank you Anthony! Andy Hudson wrote in regarding the current state of the old Penny Arcade games. We discuss this a bit and give some insight into his question / concern. Next up, we got a message from Mike Skinner, regarding a 1979 episode of Charlie's Angels. During the opening sequence, you see The Eastern Winds, just moored out in the bay. Click Here to check this super quick view, don't blink! We're getting quite a bit of listener mail and we love to hear from ya! Keep the emails, tweet and calls comin' in! Amy wrote in, asking us what the average stay was back in the 1970s. We discuss this in detail, basing this on postcard collections, films and attractions. This is a deep question and this is a pretty thorough answer. Kasey touches base about the change from 'EPCOT Center' to just 'Epcot'. 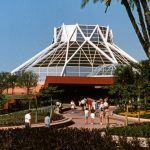 Kasey is curious when this changed and why - Brian gives us all the info on this one, which is a fun little history of the Epcot name changing. Our audio rewind this month turned out to be the Future Corps! Keith Burton guesses right, and he will be receiving our famous Lake Buena Vista poster. Todd has some new items for this upcoming months prize - so listen carefully, as you could be a winner! If you think you know the answer to this month's audio rewind, email us! contest@retrowdw.com - This month we are picking four winners - each winner will get a poster and a shirt! All entries due 4/16/2019 and a random winner will be selected. We lcome to Circlevision and The Timekeeper. This super unique format was used throughout Disney properties and this episode we dive into one of the last productions, The Timekeeper. Our entire crew has a great recollection of this film and animatronic show, starring Robin Williams. The show itself, featured a unique character based on the actual camera system and they called her, Nine Eyes. With this episode, we go scene by scene, discussing the stars, filming, production and more. The original film entitled From Time to Time, but was named The Timekeeper in Florida. We go into the location, which always felt a little off and out of place in Tomorrowland. 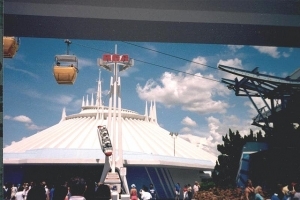 The redo in 1994 is discussed and we hit on some of the backstory involved with this attraction, including a bit of Alien Encounter. We discuss a few other things, including the old WDW travel VHS tapes, which had some great panning shots over the years. The group also gets into the preshows and we get a little bit of history and current location talk on the Renault concept car made for the attraction, The Reinastella. This ride is somewhat unique, as you had to look forward at The Timekeeper, so it kept the audience attention, looking one way. This is a great, 'New' Tomorrowland attraction that has met our criteria and we hope you really enjoy our look back. 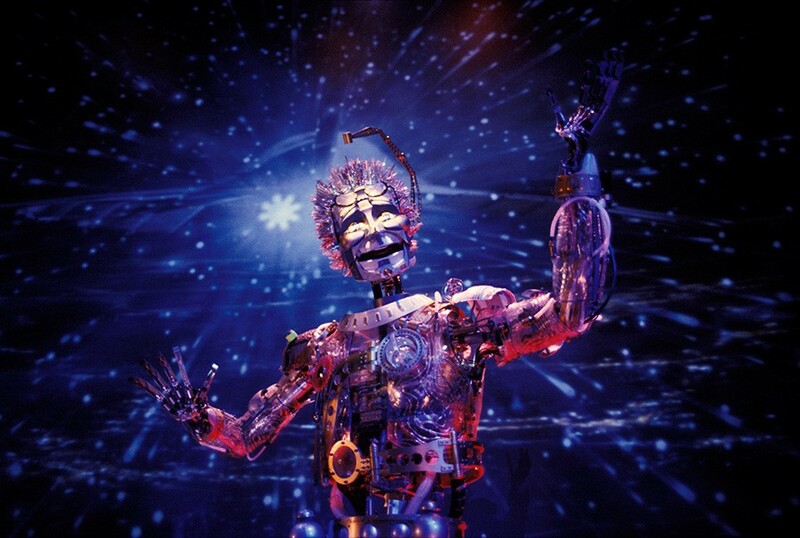 What is your favorite memory of The Timekeeper? Was this a must-do for you and your family? We would love to hear your memories as well. Join us very soon, as we take behind the scenes with director Jeff Blyth. He is going to take us on an amazing journey, all about how these 360 films are shot. You seriously need to hear this! We thank you for your support and welcome you to enjoy all of our other offerings including our photos, restored films & The Lake Buena Vista Historical Society. Our first correction is in regard to our last episode, all about Snow White's Scary Adventure. A great memory shared and we feel you! How has a minor correction about the figures from Snow White's Scary Adventure, Disneyland Paris, duplicate figures and some other tidbits. Brian & How recently rode Seven Dwarfs Mine Train and How walks us through the repurposed figures, which you can go see right now. We also hear about a recent loss Brian experienced... Which relates very well to an old Eric Boardman Disney Channel video. Kicking things off, Tom wrote us from New Hampshire - asking what our own personal Holy Grail item would be from Walt Disney World. This could include merchandise, ride pieces and anything else. Great question! 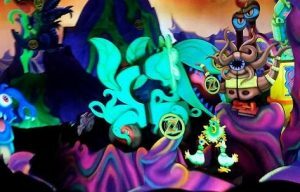 Jake Nelson wrote in about Dreamflight and brought to our attention something that remains on Buzz Lightyear - we had no idea! Thanks so much Jake! Jerry Massey sent us a commemorative VHS from the 1994 Walt Disney World Marathon. We are going to share this with you soon, so stay tuned! 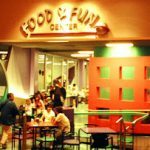 Joe Barlow wrote in about some of the old arcades - giving us a great memory about what it was like to walk into the Contemporary & The Fiesta Fun Center. Andrew wrote in with some great memories and it sparked the feeling we used to get, waiting forever to check into our resorts. 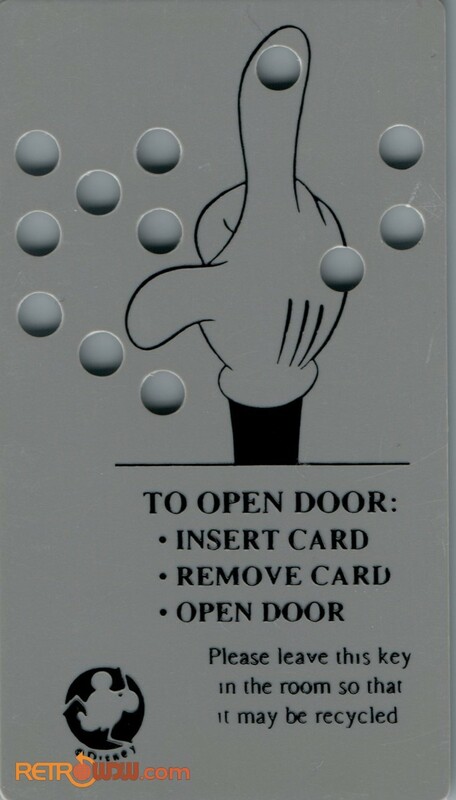 We all give our accounts on how it felt and why it used to take forever...We even bring up the old Ving Room Key! Join us next month for another great episode, all about the 'new' Tomorrowland attraction: The Timekeeper! We thank you for your support and welcome you to enjoy all of our other offerings including our photos, restored films & The Lake Buena Vista Historical Society. 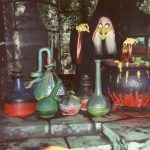 Welcome to Episode 45 of the RetroWDW Podcast: "Holiday Potluck" - We appreciate your support and hope you have been enjoying each and every episode. Be sure to check out some of our previous shows. Todd gets everybody up to speed regarding the Tailor / Taylor Ham discussions and research. If you have listened to our previous episodes, this shouldn't be totally random for you. We had a listener write in, regarding a live band for Mickey's Birthdayland. How recalls this and also potentially knew somebody who was involved in the show. Our first message is from one of our newest binge listeners. Jacob's first visit was earlier than our era, but he has really enjoyed catching up with all the history shared. This next message is from a fan and also a Lake & Lagoon Tour participant. Dan wants to know all about the Fort Wilderness Arcade, which is back behind Crockett's Tavern & Trails End Buffet. 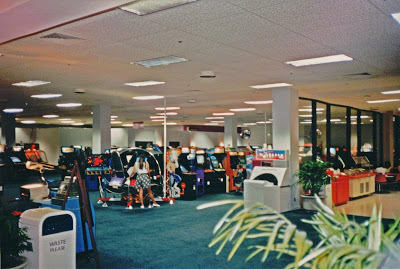 He is curious about the two levels, if it has always been for an arcade and even why... We weren't totally sure, but maybe a listener or former cast member can chime in. Keith Beaulie has been doing an amazing job, transcribing our episodes into a legible and functional set of documents. We wanted to give him a shout out and also tell him thank you for taking the time to get this going. The automatic systems just weren't cutting it, but Keith has really done an amazing job. We used the "Phone-A-Friend" from Who Wants To Be A Millionaire, to call JT's sister. She is stationed live, inside The Land Pavilion, to have a random person pick a number. This number correlates with over 500 guesses and emails for the second half of 2018. The winner of the 2018 Prize Pot Par #2 is...... Paul Zimmerman! Starting us off, Brian takes us through this vintage VHS. This was sold alongside the other VHS tapes - A Day at The Magic Kingdom, A Day at EPCOT Center, and A Day at Disney MGM Studios. We discuss how Santa takes us on a journey, throughout the resort, about what is done for Christmas at WDW. There are some hidden gems in this video that have not really been seen too often. This will be a fun watch around the holidays, so be sure to check it out. Next up, Todd shares a very unique gallery from his grandparents, when they visited in November of 1994. We see lots of great holiday photos, new Tomorrowland under construction, the amazingly classic 90s Grand Floridian rooms and so much more. Be sure to take note of the sleigh photo-op on Center Street! These have that great 90s look, color and focus, which we discuss why... Hope you enjoy these! New Year's Eve Every Night! Finally, How takes us to our favorite night out at Pleasure Island! We go through a small history of the park and then into how the original idea was scrapped. New Year's Eve, every single night became a huge deal and also had a nightly countdown. 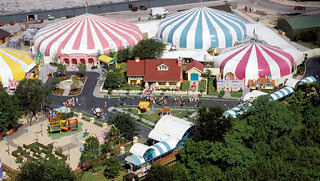 The entire park had many changes throughout the years, which we discuss and also look into some of the clubs. Don't forget - time this section up right to do a vintage/retro countdown on New Year's! Hope you enjoy this look at Pleasure Island! Join us next year, for our first episode of 2019! We want to thank you for listening all year, joining us on our tours and also thank you for any merchandise you purchased or donations you made. Have a wonderful Christmas and New Year's! 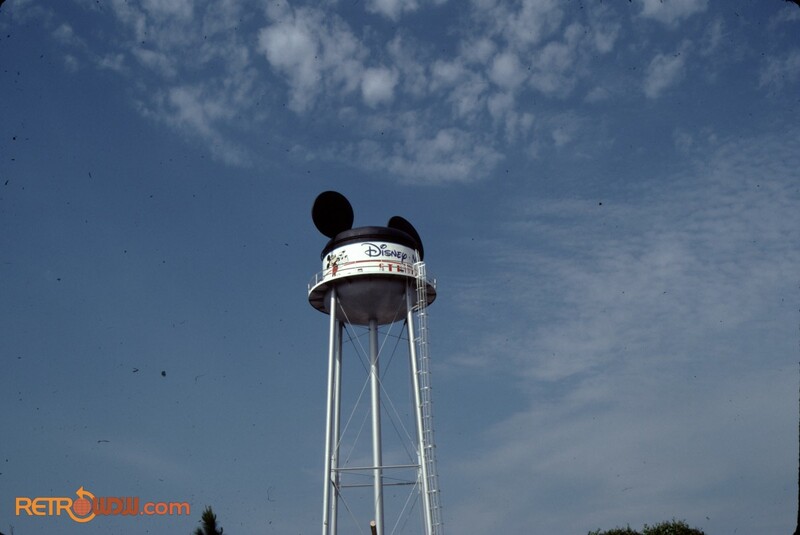 Welcome to Episode 44 of the RetroWDW Podcast: "Mickey's Birthdayland" - We appreciate your support and hope you have been enjoying each and every episode. Be sure to check out some of our previous shows. Eric wrote in, regarding the show 'Chance of the lifetime', which offered a million dollar prize. We stated it was 'Who Wants To Be A Millionaire', and we were clearly wrong. Thanks for the correction! We discussed this on Episode 43. 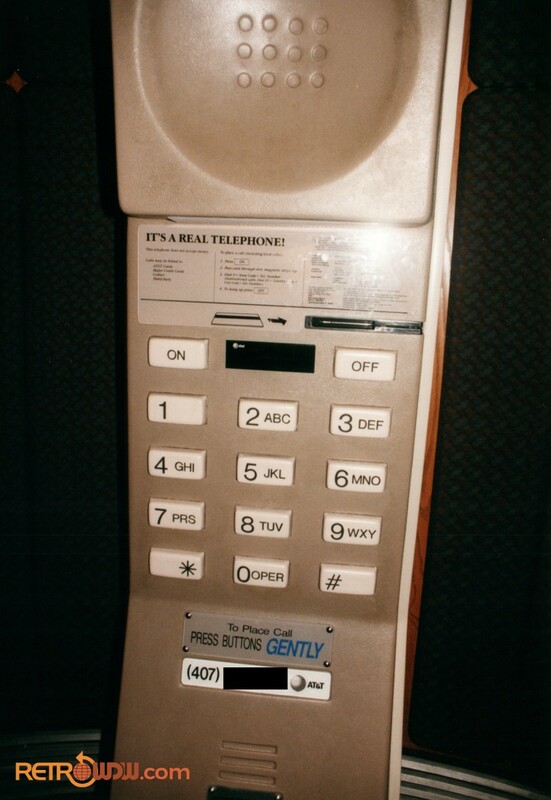 The giant AT&T phone came up again, and the current phone number owner actually brought it up at a company meeting! Big shout-out to the Disney Vacation Club cast members who listen to the show and also to our friend who has the number. How also gives us some updates on the current status of the 20k submarines. He found them snorkeling at Castaway Cay and informs us all about what they currently look like. Very cool story! Joe Barlow wrote in about some vintage coffee mugs. How did a little research, since he has a mug just like this! He explains the numbers and also a little bit about the history on these mugs. Mike wrote in regarding 1-hour photo development. 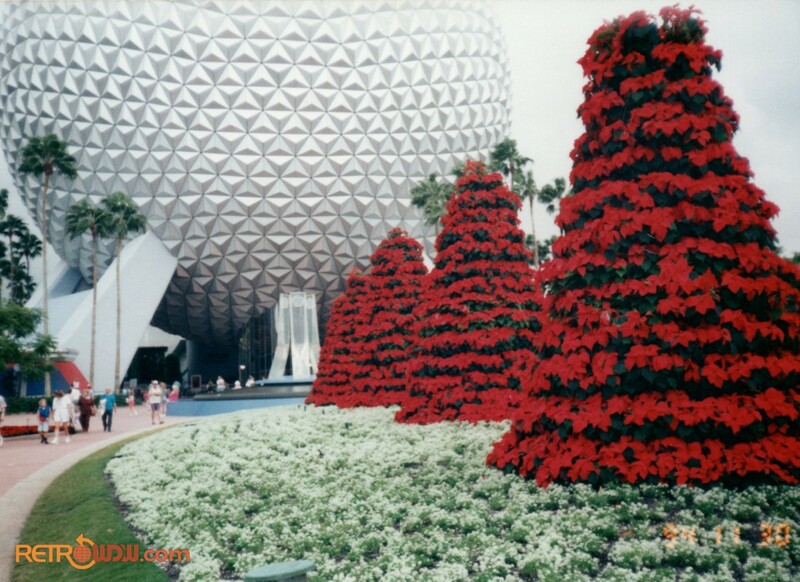 Did Disney have a 1-hour photo option at the EPCOT Center Camera Center? Brian tells us the tale on this one. Next up, Jared gave us a call on the Retro Line! Take a listen to his great story. 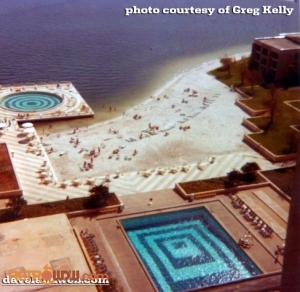 Finally, we got tons of great notes regarding the Lake Buena Vista Historical Society. We really do appreciate all of the kind words and support. This is a huge undertaking and we look forward to sharing it with you. 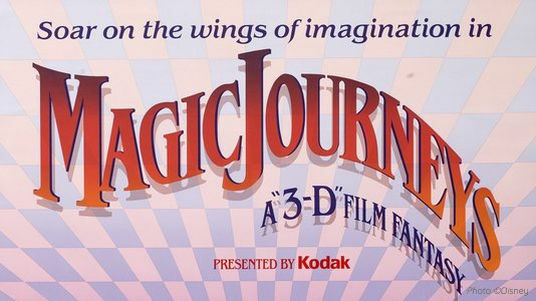 Our audio rewind this month turned out to be the nightmare filled Magic Journeys! The winner is Ben West, winning a copy of The Universe of Energy comic book. Great job and thanks for playing along to everybody! If you think you know the answer to this month's audio rewind, email us! contest@retrowdw.com - This month the winner will receive the 1992 Burger King 20th Anniversary calendar. This prize will legitimately work in 2020, as your new calendar. All entries due 12/8/2018 and a random winner will be selected. Even if you don't win, you will gain an entry into the Second 2018 Prize Pot! This month we honor our good friend Mickey Mouse by taking a trip back to Birthdayland. We start off in 1988, discussing some of the special events to commemorate his 60th birthday. We examine some old artifacts and events that were done during this era. 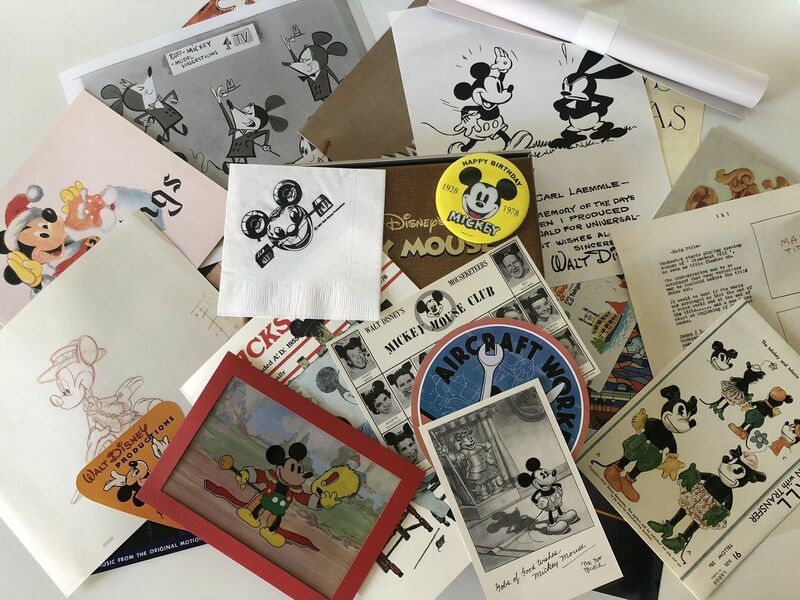 How moves into the way Birthdayland came to be and also tells us about a hidden gem in the book Todd is holding...Mickey is 60! We learn about how cheap Disney went for this land and what lasted and didn't last. Mickey was always a walk around character, so guests really wanted to meet him, but couldn't necessarily lock down a meet and greet. This land changed that forever and you'll hear about some trade secrets that still happen today. Todd entertains us with some music from the Birthdayland Express, which is absolutely amazing. The petting zoo concept comes up, Minnie Moo and the barn that is still there at Goofy's Barnstormer. Todd takes us through all of the changes the land has gone through as well. The fair concept is discussed, along with Donald's original boat. We also get into Bonkers, The Disney Afternoon and so much more. Happy Birthday to the legend himself, Mickey Mouse! Hope you have enjoyed this episode and also had a great time celebrating Mickey's birthday. We are still plugging along in the Episode 43 series, this time with 43.75. The crew welcomes Jim Sarno, an artist who has been all over the entertainment industry. Jim spent some time with The Muppets, Hannah-Barbera and beyond. He moved into the Disney realm, getting his first gig with MAPO, making body parts out of fiberglass. As you listen to this episode, you will hear Jim drop so many names of his former friends & colleagues, which is super interesting. 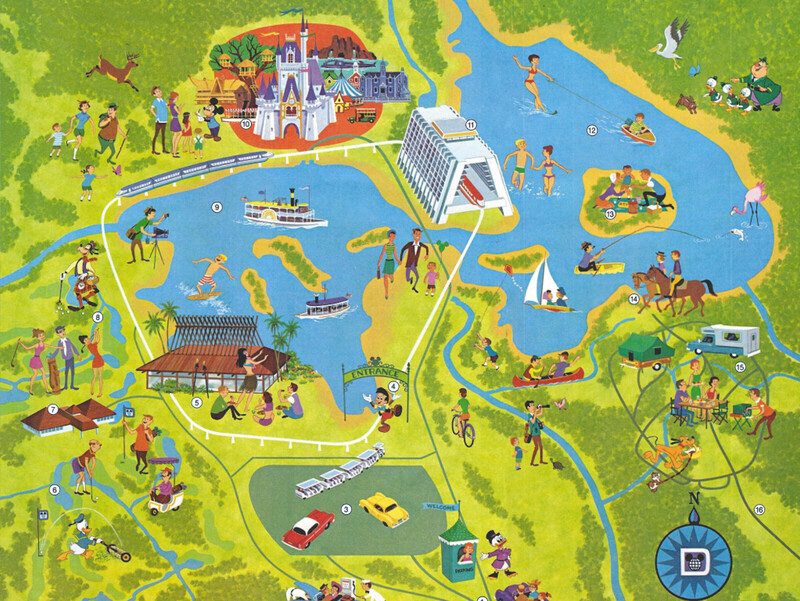 Thank you for listening, be sure to check out our latest venture, The Lake Buena Vista Historical Society. You won't want to miss what we have coming soon! 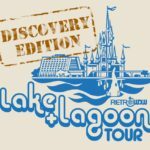 We also have our next event coming soon, The Lake & Lagoon Tour: Discovery Edition. Hopefully you can join us for this new adventure at The Vacation Kingdom! We interrupt your normal podcast, for a special edition of the podcast. This episode is filled with lots of news, updates and tour info; so here we go! Our Lake & Lagoon Tour: Discovery Edition is getting closer and closer each day. We have less than one month to go and we are so pumped for this. 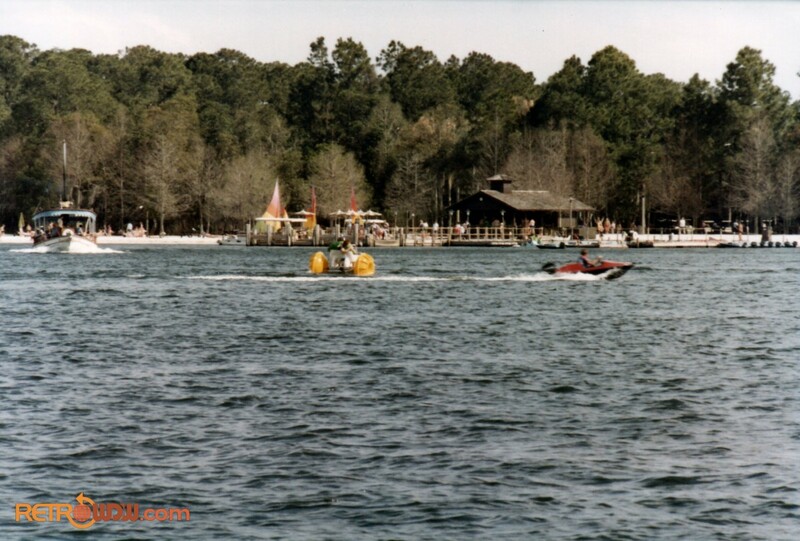 The old Animal Kingdom boats are being fueled up and float tested as we speak, just for you! Right now, we only have a handful of tickets left, so if you want to join us, click here! The gift for our upcoming event is in production and looking amazing. 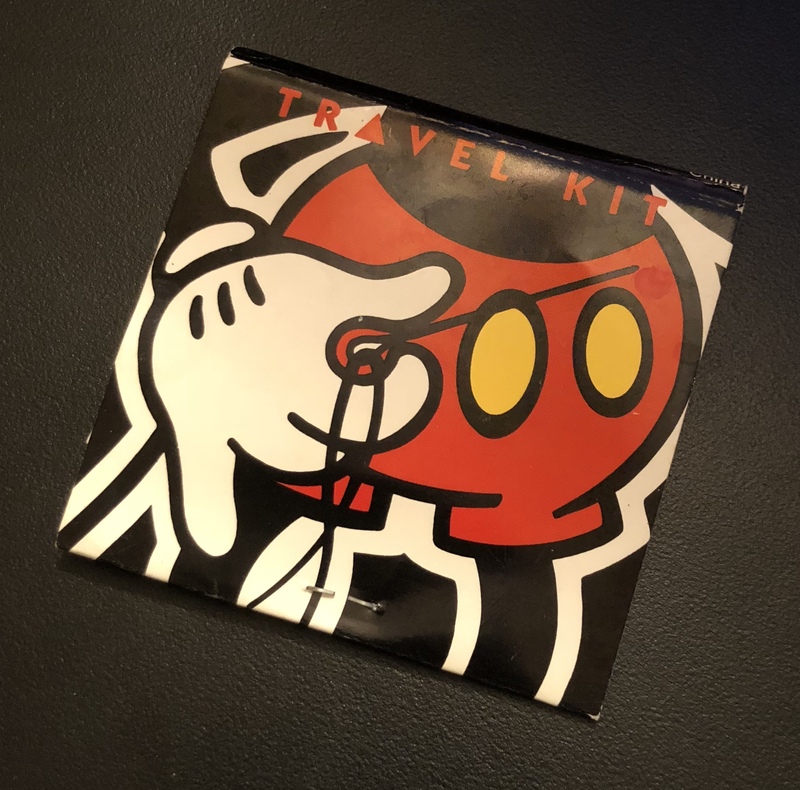 Our tour members will receive a special limited edition version! Join us! We will be at The Outer Rim, Saturday, November 17th from 4:30pm-6:00pm. This is open to anybody who would like to chat, enjoy a drink from the bar and just relax after a fun day. The Walking Tour is back! Join us for another free event, Sunday November 18th - 11:30am. We will be at the main entrance fountain, right in front of Spaceship Earth. 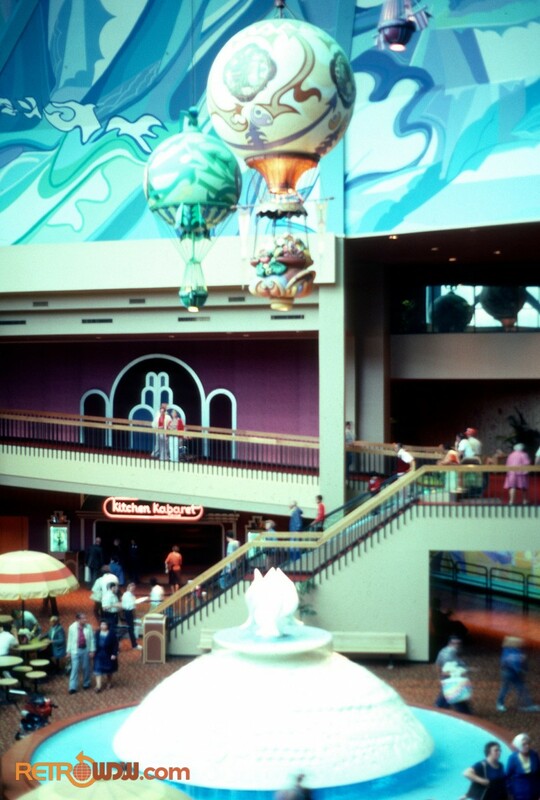 This tour will include the former WorldKey site, the news ticker, flamingos, Horizons and so much more. We did this last year and had tons of fun, so we hope you can join us for this bonus event. Finally, we wanted to tell you about something new. The Lake Buena Vista Historical Society. This has been in the works for over a year, and we wanted to create something to preserve the history we are sharing with you. Brian & Todd explain everything regarding this new initiative, which we are super excited for you to join us on. Welcome to Episode 43.5! We are here tonight to chat with Chris Debiec, who plays a key role in the early days of Disney-MGM Studios. Todd, Brian & How are in attendance tonight and we start you off with some information about the upcoming Lake & Lagoon tour. Some information is also revealed about the gift for this upcoming event and also some key information if you would like to meet any of us. At the moment, Chris is working on some top secret projects, but we get him on the phone to talk about his time at Disney. He started at the studios in the late 80s, as a production assistant. Like many people, Chris started in the Disney College Program, being one of the last classes at the Snow White Village. 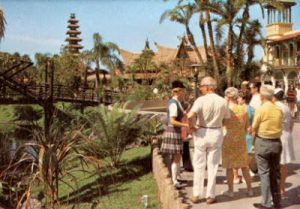 We also learn that Chris worked at Captain Cook's at the Polynesian. Throughout this episode, Chris has so many amazing stories. We learn all about stealing ice in World Showcase, conversations with Jim Washburn and The Muppets. The entire conversation is filled with amazing, never heard stories related to the early days of Disney-MGM. As a real, working studio, you get real Hollywood stories - which is amazing. 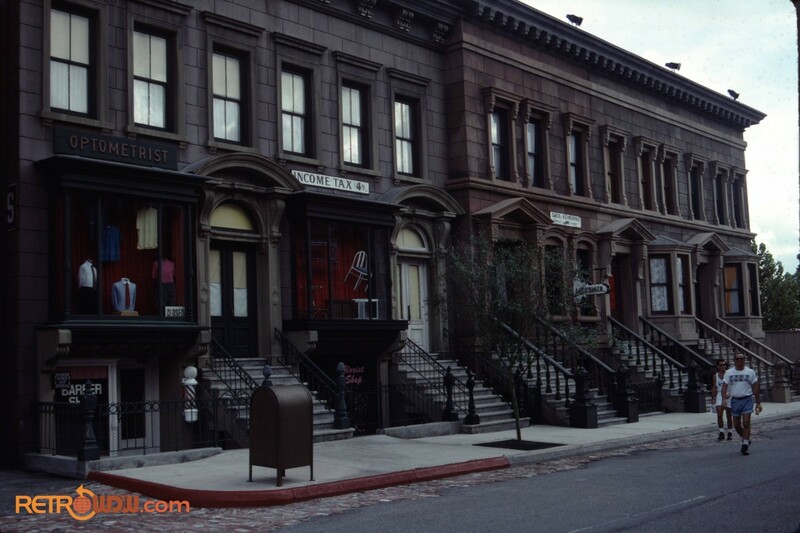 The stories almost don't feel like a theme park and more from the backstage area of a movie set, which totally makes sense. Huge thanks to Chris for spending time with us and answering our questions. We really enjoyed talking with him and found him to be full of amazing stories. Welcome to Episode 43 of the RetroWDW Podcast: "MGM-Studios Game Shows" - We appreciate your support and hope you have been enjoying each and every episode. Be sure to check out some of our previous shows. 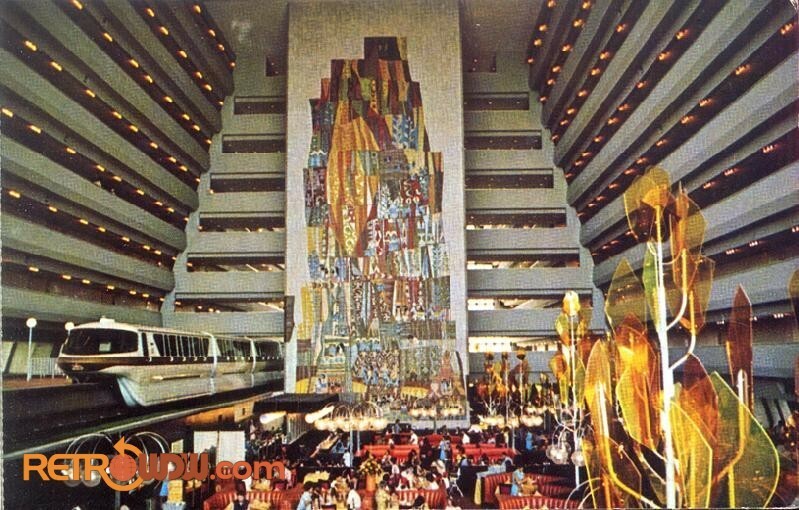 Doug Skinner wrote in to us regarding the giant phone inside Communicore. We did a little research on this, which leads to a live call on the air. Have a magical day! Our next letter from KJ was about the 1984 Olympics, which were shown live on the screens in Earth Station. 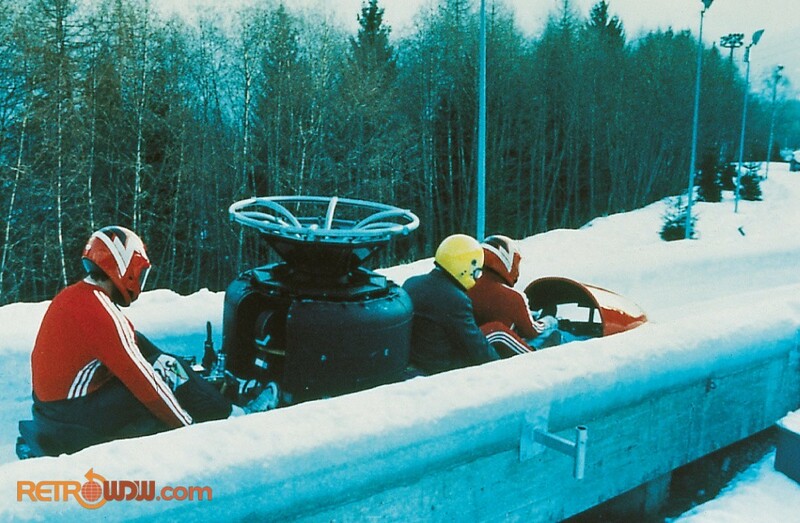 We get into a little discussion on how the '84 Olympics were huge, and how the Olympics back then were way different compared to now. Joe wrote in with an absolutely amazing story about some spilled soup, shared pants and a free meal at The Coral Reef restaurant. You seriously have to hear this story, which is one of the best we have ever gotten. Andy was curious about the Birnbaum's travel guides, which we refer to often. We dig into the history of Birnbaum and also share with you what we use often. We heard from Johnny regarding the Tomorrowland Train Station, which we get into why it isn't a thing...How tells us a little history on this forgotten spot. 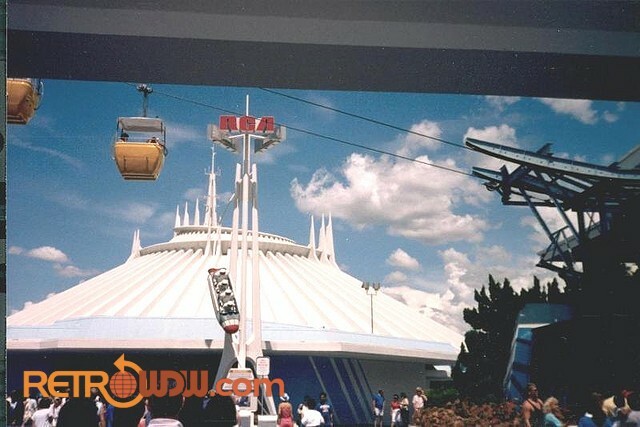 Our audio rewind this month turned out to be the Space Mountain Tunnel! The winner is Jenny Buchannan, winning a copy of The World of Motion brochure. Great job and thanks for playing along to everybody! If you think you know the answer to this month's audio rewind, email us! 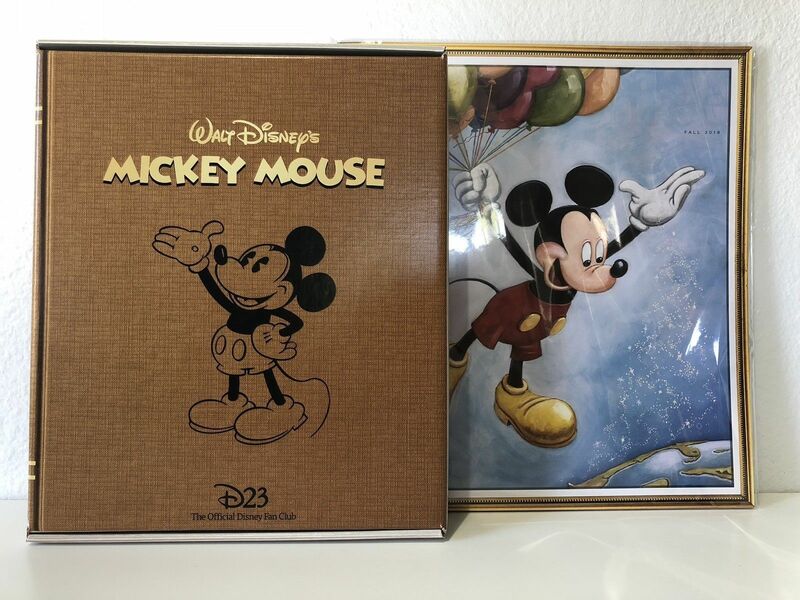 contest@retrowdw.com - This month the winner will receive the Micky & Goofy visiting the Universe of Energy comic book. All entries due 10/15/2018 and a random winner will be selected. Even if you don't win, you will gain an entry into the Second 2018 Prize Pot! This month is somewhat unique, as we take you back to the studios and give you a taste of the old, working studio. How takes the lead and the main topic relates to how game shows used to be filmed on site, you could visit the sets and even play with a live studio audience! As a group, we join How with a game show styled game where we answer trivia questions and discuss this history. The game shows filmed here are legendary, somewhat unique and also random in some cases. We hear about everything from Burt Reynolds to DOS games and how some of the shows were simplified for park guests. We go into quite a bit and you get to hear all about the gaming history of the studios in their heyday.